Sorry about the exclamation — I’m just really, really excited! This summer, I’ll be spending a week in London with my travel pal, Sarah. And in our planning, we figured that we might as well plan a trip to Dublin while we’re in the U.K. We both have a love for pubs and Irish jigs and figured we could spare a couple of days stepping away from England and exploring the Emerald Isle. And going to Ireland means I get to check something off my bucket list! While Sarah will be in London for nine days, I will only have six days there before I leave for my Contiki tour. So we’re taking a short weekend trip to Dublin — leaving Friday morning and returning Sunday afternoon. Yes, we know we should avoid weekend travel when we’re on a budget, but a weekend trip was the only option that worked for our schedule. Sarah discovered a transportation company that is perfect for our schedule and budget. Called RailEasy, the company lets us find and book a train ride from London to the west coast of England and a ferry from England to Ireland. We booked a train ride from Euston to Holyhead, where we will then hop on a ferry to Dublin Port. The journey takes about eight hours — six by train and two by ferry.Though the ride will be long, it’ll be totally worth it because of the stunning views of the countryside we’ll see along the way. 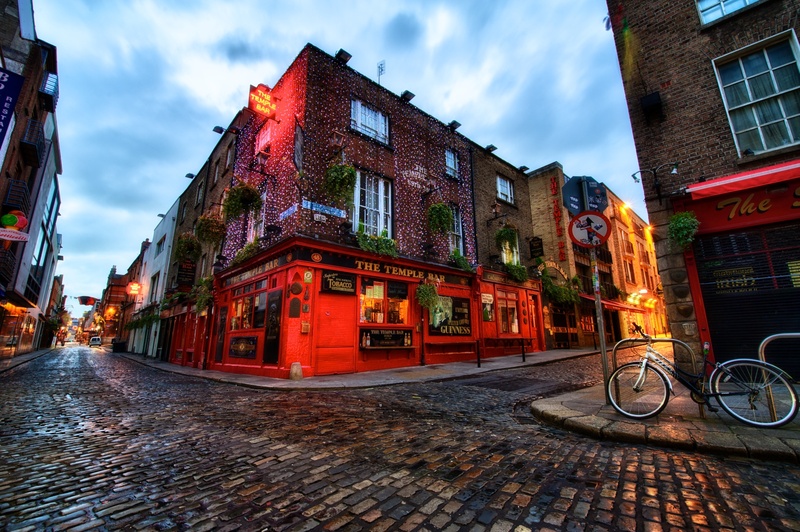 We used Hostelworld (as usual) to search for places to stay in Dublin. There are other accommodation options featured on the site than hostels — such as budget hotels and bed and breakfasts — but Sarah and I prefer hostels because they allow us to meet and hang out with other travelers. And we love making friends. We searched Dublin hostels based on price, ratings and location and found several that fit our criteria, such as Isaac’s Hostel and Backpacker’s Citi Hostel. But the one that caught our attention most was Abigail’s Budget Accommodation. With an 98 percent location rating and a Hostelworld recommendation, Abigail’s stood out as the best place to stay if we want to be centrally located to Dublin’s main attractions. 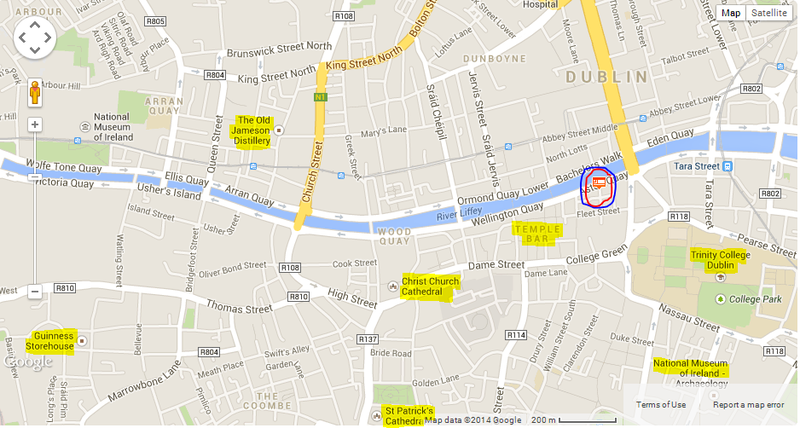 It’s located on Aston Quay overlooking the River Liffey with Temple Bar only footsteps away from the doorstep. Since we’ll be tight on time, we need somewhere that is within walking distance of most sites we want to visit, and a few minutes’ car ride away from the rest. Not only is Abigail’s centrally located to all the historical sites we want to see, but the hostel offers free 3-hour walking tours every day at 10 a.m. and 1 p.m. This bonus means we’ll have to do way less planning for where to go and what to see. Nightly bar crawls are another prized feature for the hostel, one that we will happily take advantage of. Have I mentioned that I’m obsessed with Irish pubs? We’ll be visiting the Guinness Brewery and the Jameson Distillery while we’re there, of course, we’ll be sure to salute the local spirits on our night(s) out. In my next post, I’ll share our tentative itinerary for the trip! Have you been to Dublin? How did you get there and where did you stay? Comment below! Previous Post National Cherry Blossom Festival in Washington D.C.